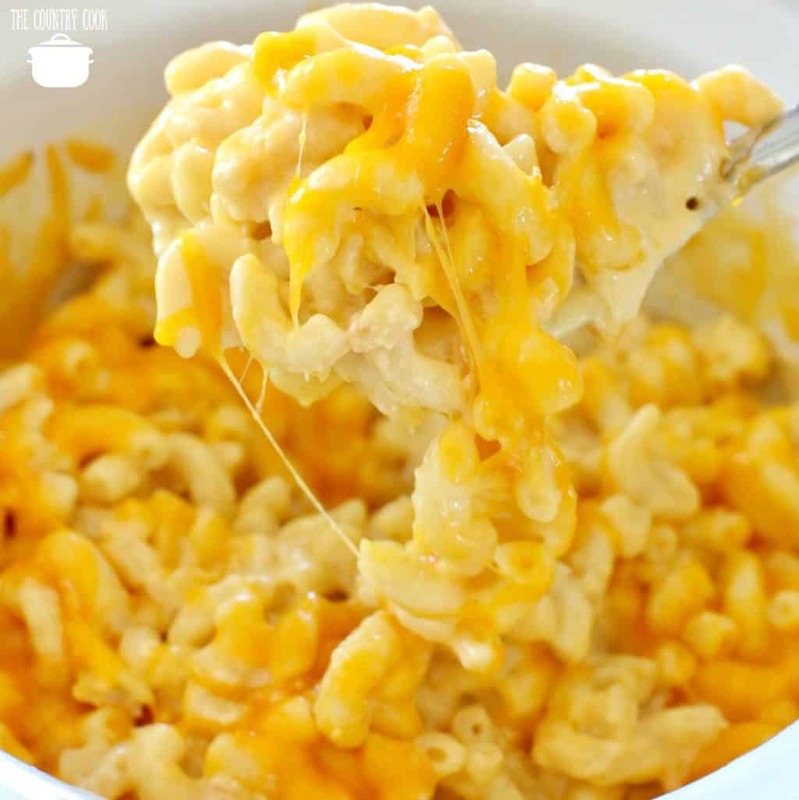 Slow Cooker Macaroni and Cheese (or Crock Pot Mac and Cheese) is a creamy, cheesy and easy macaroni and cheese recipe that you just can’t mess up! 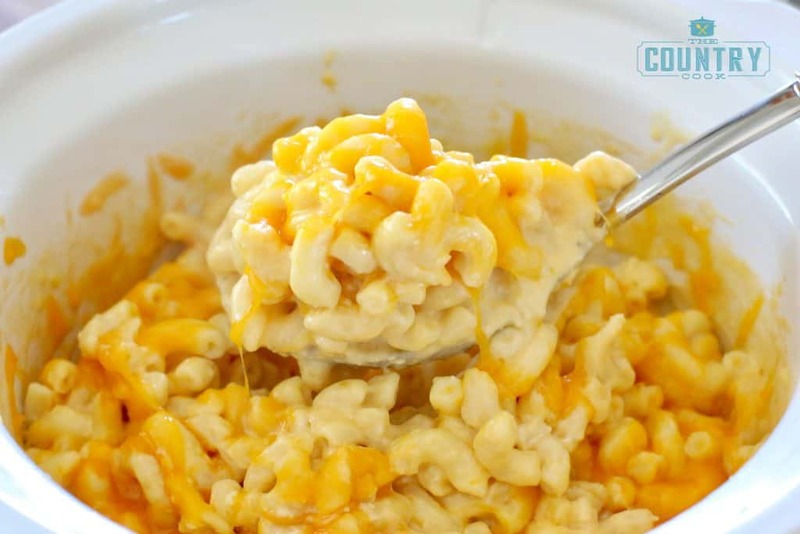 WHAT MAKES IT THE BEST MACARONI AND CHEESE? Using freshly grated cheese. Don’t use the bag stuff. I don’t mind using it for my NO-BOIL MACARONI AND CHEESE – but for this, you really need to freshly grate the cheese. It really makes all the difference here! Also the American cheese in this recipe helps to keep it so creamy. Don’t skip it! Cook’s Notes: Just go to your grocery store’s deli counter and ask for 3/4 pound of white American cheese. Tell them you don’t want it sliced, just a big block. 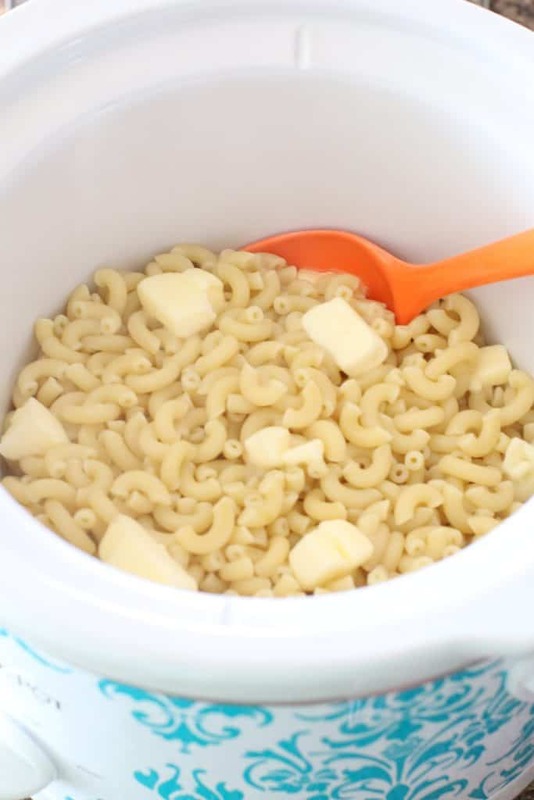 Place the cooked macaroni into the slow cooker. Add the butter and stir until coated. Pour in evaporated milk & half & half. Then add 2 cups shredded cheddar cheese, cubed American cheese salt & pepper. Stir to blend. During the last 15 minutes of cooking, top with remaining cup of shredded cheddar cheese. Cover and allow cheese to melt. Once done, turn the slow cooker to the warm setting until ready to serve. 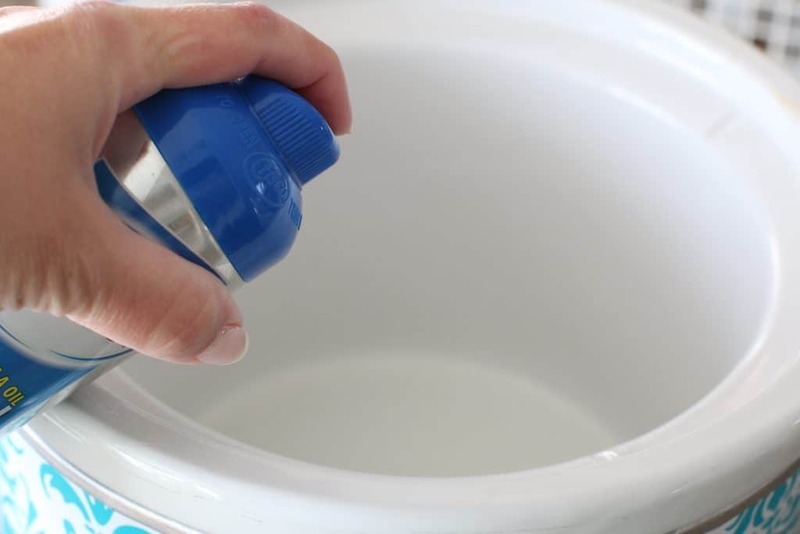 Leftovers can be stored in an airtight container in the refrigerator for up to 4 days. 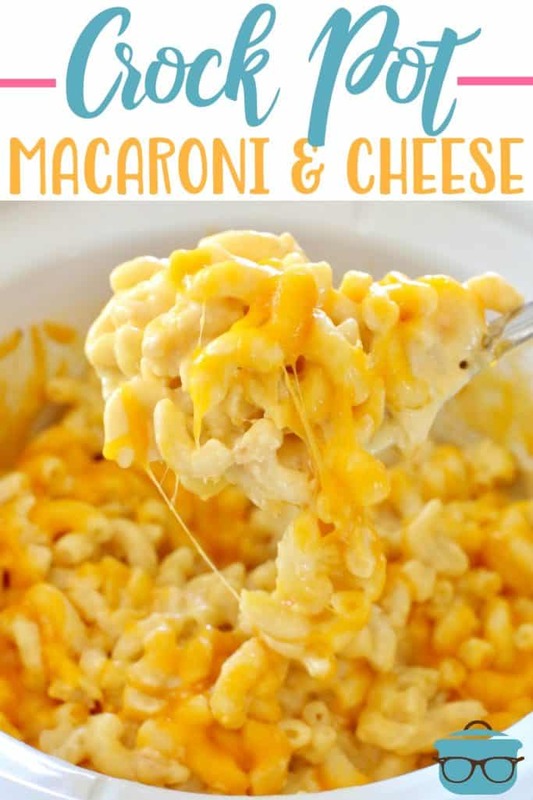 Slow Cooker Macaroni and Cheese (or Crock Pot Mac and Cheese) is a creamy, cheesy and easy macaroni and cheese recipe that you just can't mess up! 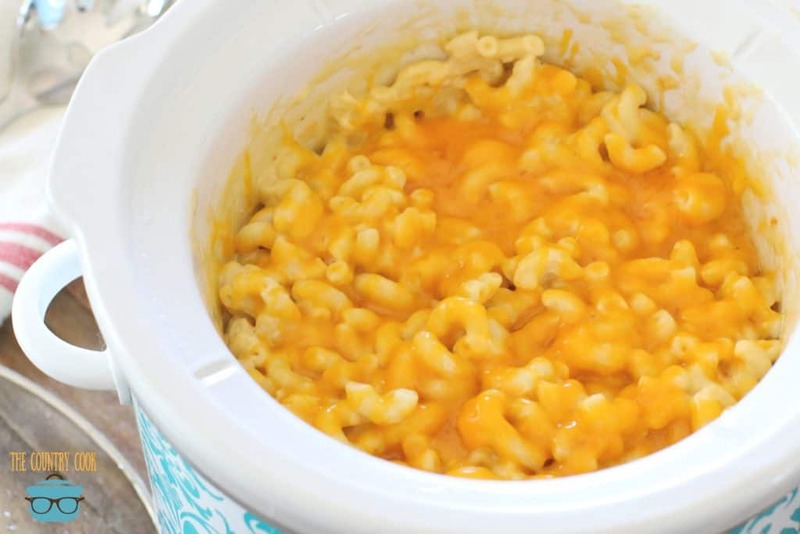 Place the cooked macaroni into the slow cooker. Add the butter and stir until coated. 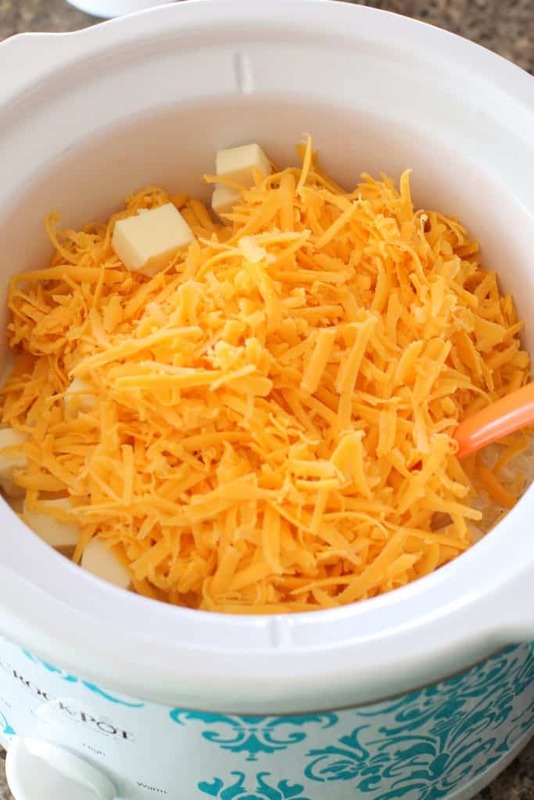 Pour in evaporated milk, half & half, 2 cups shredded cheddar cheese, cubed American cheese salt & pepper. Stir to blend. Once done, turn the slow cooker to the warm setting until ready to serve. Just go to your grocery store's deli counter and ask for 3/4 pound of white American cheese. Tell them you don't want it sliced, just a big block. 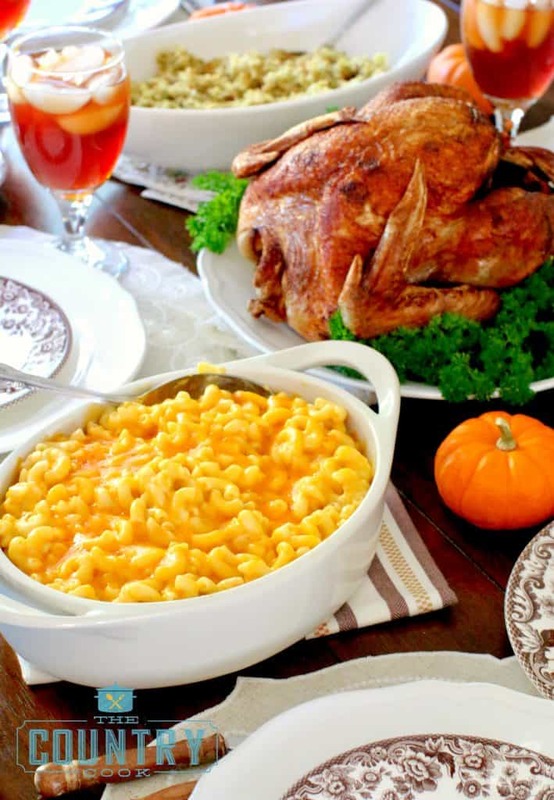 Leftovers can be stored in an airtight container in the refrigerator for up to 4 days. WANTING MORE? GIVE THESE RECIPES A TRY! I needed to decide on a dish for a pot luck lunch at work. Several meat and tomato sauce dishes were already on the list, so I decided to try a mac and cheese. Well, as much as my family loves mac and cheese, I have never made it home made. So I went searching and came across many different recipes, but for some reason, this one hit me as looking delicious. We were not disappointed. Everyone loved it. I made the pasta and mixed in the butter the night before, refrigerating it until morning. 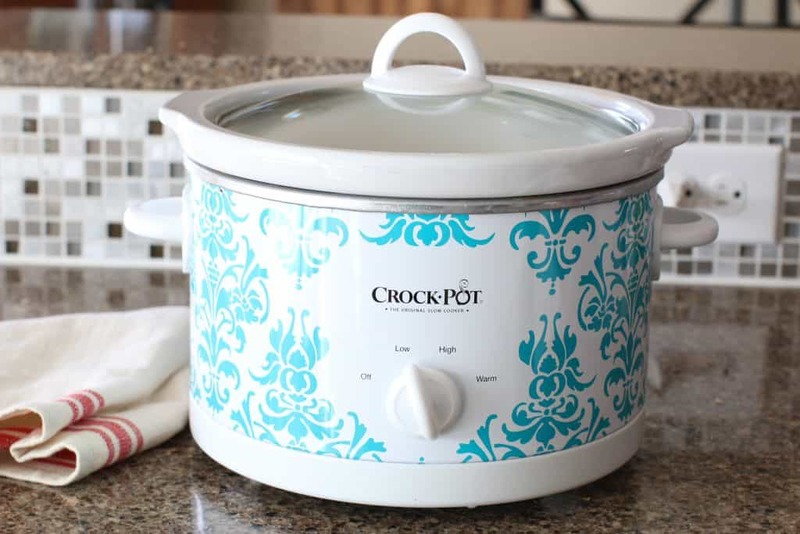 Before leaving for work, I put everything in the crock pot, Plugged it in when I got to the office and it was ready to eat in a couple of hours! I can’t wait to make this for my family! Love hearing that. Glad you enjoyed the ease of making it. Can’t wait to hear how much your family enjoys it. Made this for a pot luck at work and was a huge hit! Such an easy recipe, this will be my go to from now on! Thank you! This was a HUGE hit! Thank you!! Made this for my yearly bbq where I also have a big crowd. It was very easy to put together and everyone loved it. I doubled the recipe and my guests even took home some of the leftovers. When reheating the leftovers I had I heated on the stove and added a splash of half and half and it was nice gooey again. I will make this again. Super easy to fix and delicious! I followed the recipe except that I added a dash of dry mustard and more salt & pepper for seasoning and used American cheese slices instead of block white American cheese. My crock pot is too small. Can I bake in oven? How long and what setting? Thanks. I just made for a family dinner. 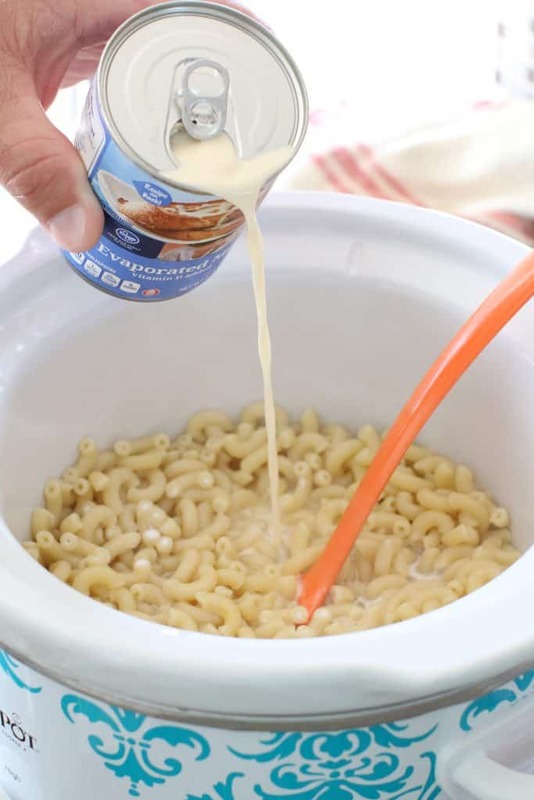 I didn’t have half and half so I added two cans of evaporated milk and it was nice and creamy. I also used a combination of sharp cheddar, monterey jack and a small amount of velvetta as that’s what I had on hand. 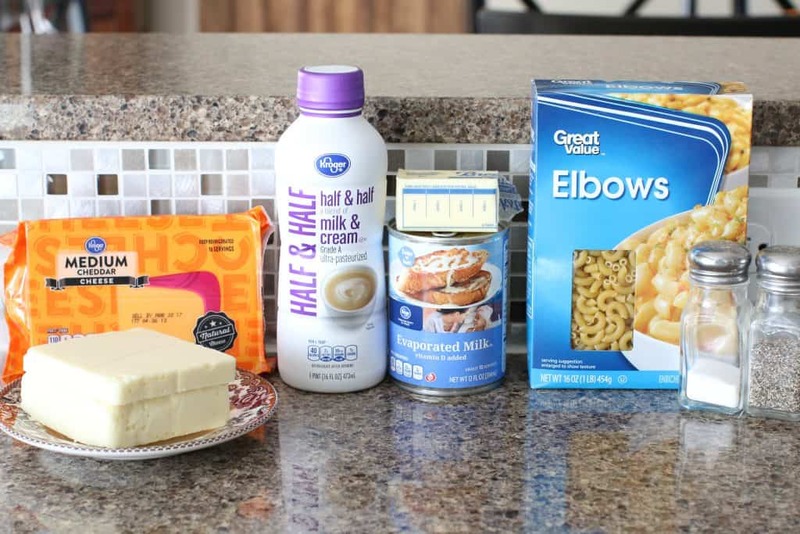 Makes a wonderful, creamy mac and cheese. My family likes to spice things up a bit so after reserving some for children in the group, I added white pepper, red pepper flakes and a tiny bit of garlic powder. Yum!!! I use 2/3 Mexican cheese blend and 1/3 shredded pepper jack. White American for the block cheese. And add 2 eggs to the mixture. It keeps the consistency great and comes out delicious! It’s a hit at any gathering I make it for. 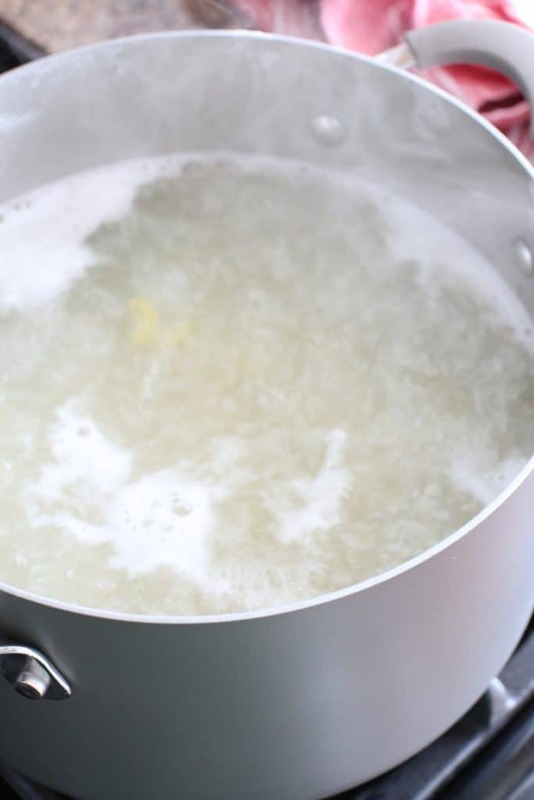 Can I make the cheese sauce in the crockpot and pour over the cooked pasta later? Thanks.